2018 has been an eventful year both in the normative and professional field for the European Pharmacy. PGEU brought the voice of community pharmacists at the heart of the EU policy making process and ensured the pharmacists’ views were taken into account both in EU legislative and non-legislative initiatives such as the Regulation on veterinary medicines and the European Commission Communication on retail restrictions in relation to the distribution of non-prescription medicines. Above all, I would like to highlight two main issues on which we worked on and that will influence pharmacy for the years to come: the establishment of the European Medicines Verification System (EMVO) and the Proportionality Test Directive. During 2018 we worked hard to be prepared for the implementation of the Falsified medicines legislation. Pharmacists have bought new scanners to read the new two-dimensional Data Matrix Code and have upgraded their software to connect to the repository system. They will be performing an authenticity check by verifying the safety features and decommissioning the new unique identifier placed on each medicine pack under the scope of the legislation, that is all prescription medicines, before dispensing them. Pharmacists are and will continue being the 'quality gate' because they check the authenticity of the medicine right before giving it to the patient. With the commitment to implement the obligations foreseen under the falsified medicines legislation and to support the building of the European and the National Medicines Verification systems community pharmacists have made significant efforts and investments to make this happen. In addition, PGEU members have provided community pharmacists across Europe the necessary information and training to use the system. With regard to the Proportionality Test Directive we worked to ensure that final text recognises the special nature of health professions and ensures a sufficient margin of discretion to Member States to guarantee the highest level of human health protection when regulating health professions. Highly qualified staff, proximity and accessibility remain the core assets of the 140,000 community pharmacies across Europe. European citizens can reach a community pharmacy within less than thirty minutes from their home, and more than half of them within less than five minutes. Pharmacies also provide a growing number of pharmacy services contributing to improve the health of citizens and the sustainability of health systems. 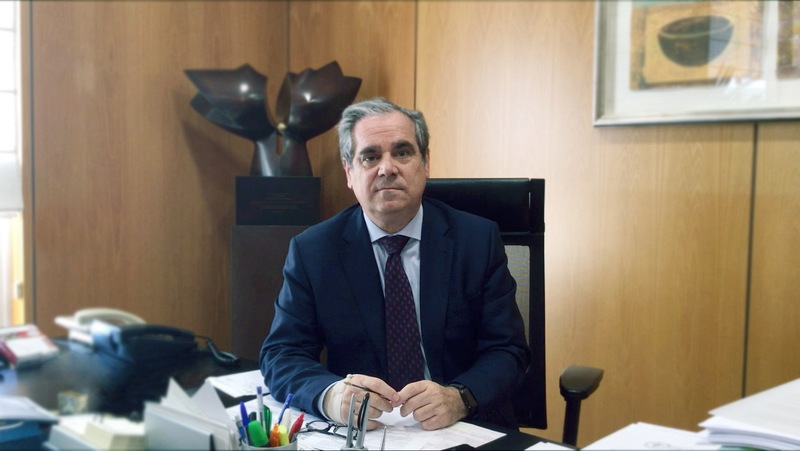 This twelve-months presidency has been a source of pride for me and for the Spanish pharmacy. During this, year I had great support from all PGEU members and from the staff of the PGEU Secretariat. We have worked to further enhance the role of the pharmacist as medicines experts in providing professional care services and improving public health. I am convinced that PGEU will continue to successfully lead the future of Pharmacy in Europe, helping to build stronger and more sustainable health systems at the benefit of all European citizens.